2014 may very well go down as the year of content marketing. 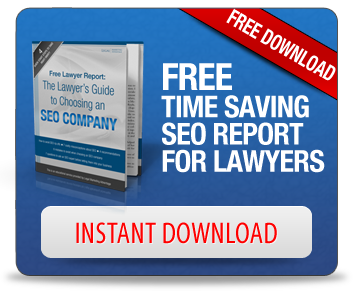 With so many shortcuts to the top being eliminated by Google updates, quality content has become the last bastion of those law firms hoping to achieve optimal search rankings. If you’re intent on acquiring clients via online marketing, you need to do everything possible to make your content better than everyone else’s, and that may hinge on enacting some of the tips included in a new report. The first takeaway is perhaps the most important, as it addresses the need to better understand the people you’re marketing to. This audience isn’t as simple as, “Anyone who is in the market for a lawyer.” Making a finding that broad is akin to marketing to everyone, but that lack of a targeted approach can haunt you. Instead, really think about who might want to hire an attorney like you. Dig into typical demographics, life experiences, and frames of mind. This information will allow you to draft content that appeals to those folks. For instance, if you’re a personal injury lawyer that specializes in helping the victims of car accidents involving bicycles, then think about how to get into the good graces of someone heavily invested in cyclist culture. Cover breaking news about the latest bike laws and dedicate some time to investigating the cycling infrastructure that cities near you are investing in. Persons who ride their bikes may be fitness enthusiasts, eco-conscious, and more likely to live in certain parts of the city. When your content speaks specifically to this type of individual, your ability to gain those persons as clients will improve. Once you have an understanding of who you’re marketing to, you can develop a plan for how you’re going to approach those persons. A content calendar works wonders in this regard, as it allows you to cover your bases. You can look weeks into the future and say that x number of blog posts need to be created by this date, that a new landing page focused on cycling accident representation needs to be produced by month’s end, that a series of commercials designed to drive traffic will go live by however many months, and so on and so forth. This will necessarily allow you to evaluate the tools you have in place to achieve your goals. The written word may be where you’re strongest, but if you have the time and the moxie, you can use infographics to get a valuable point across or create a video that demonstrates something about cycling laws that potential clients may not realize.